I am a veterinarian certified in Animal Chiropractic (CAC), Veterinary Acupuncture (CVA) and Veterinary Herbalist (CVH). Animal chiropractic: in this modality I palpate for subluxations or areas of the spine that are not moving normally and use an adjustment to correct the subluxation. An adjustment is a high velocity, low amplitude thrust through the plane of the joint. An adjustment is delivered manually (with the hand) or with an adjusting tool called an activator. 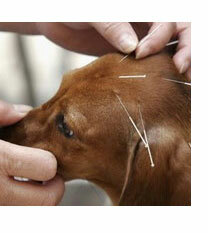 Animal acupuncture uses acupuncture points to influence the energy patterns and association of the meridians. The meridians are energy pathways that are interconnected to one another and to the organ systems of the body. It is possible to address patterns of disease and pain by using acupuncture points in combinations that move energy in the body. Diseases arise when energy along a meridian or in an organ is excessive, insufficient or blocked. Acupuncture helps restore the balance of energy in the body by creating a smooth flow of qi along the meridians. Chinese herbal formulas are herbs used in combinations that help to restore balance or health to a animal. 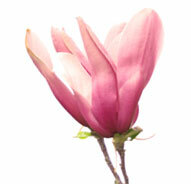 They can be used in conjunction with acupuncture, diet and lifestyle changes to promote optimal health. Information about Dr Morag McMurray and the range of services she provides. What does an Animal Chiropractor do? What does an Animal Chiropractor do? This is a holistic approach to animal care. Chiropractic therapy can benefit many cats and dogs. This page lists the symptoms you may see in your pet, that chiropractic therapy can help with. Traditional Chinese Veterinary Medicine is an integrated health system for pets. Chinese medicine for pets: history questions will help your veterinarian define your pet&apos;s issues. Five element chinese medicine, personality types in pets.